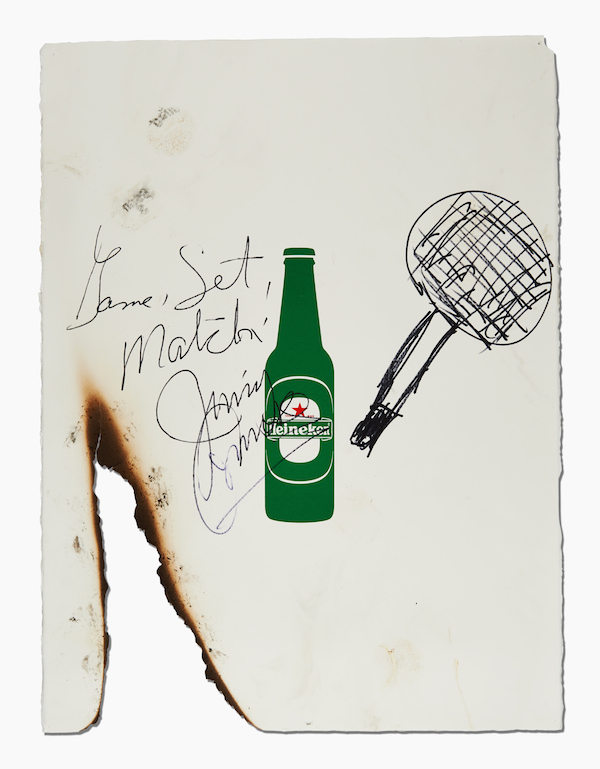 Global beer brand Heineken has partnered with over 40 ‘legendary’ individuals from the worlds of sport, entertainment and art to create a series of one-off posters in support of global non-profit, Reporters Without Borders. Each poster began the same as a simple white canvas, but then undertook a legendary journey, traveling the world and meeting extraordinary people, to come back with its own story to tell. Each poster bears the physical marks of its epic adventure, or the creative signature of the collaborator who customised it. 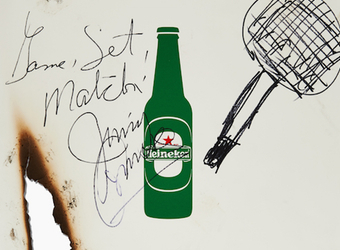 See the videos and images below of the poster that played fireball with tennis-legend Jimmy Connors, and the one that went into a live volcano. The full series of Legendary Posters are visible on a custom-developed Tumblr site, which also features a selection of short films depicting the journey that some of the posters undertook. The posters are up for auction, via a built-in eBay tool on the site, all proceeds from which will be donated to Reporters Without Borders, a global non-profit organisation that protects journalists and ensures freedom of information worldwide. The auction is open worldwide now, with people able to place their bids until 13 April 2014. The posters themselves will be exhibited in a number of locations around Amsterdam, from now until the end of the auction period, including an event at the Stedelijk, the Netherland’s premier modern art and design museum. 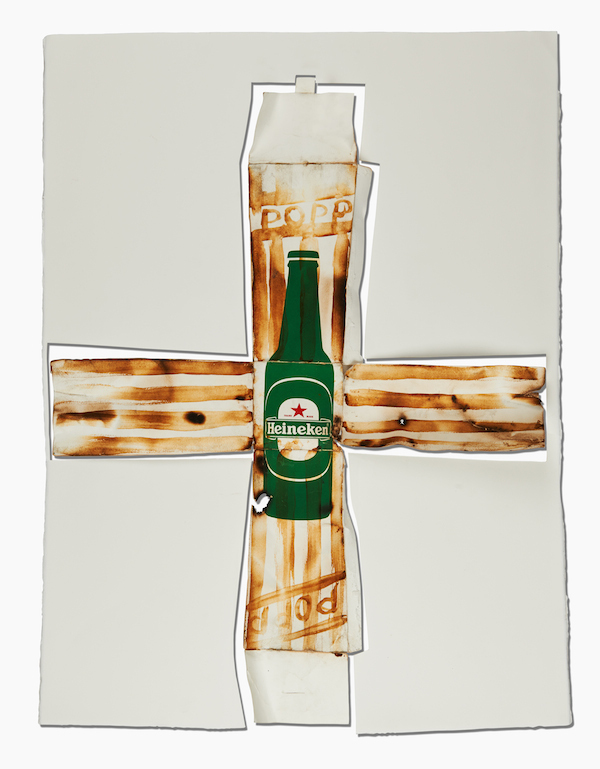 Sandrine Huijgen, Heineken global communications director, commented, ‘Legendary posters is one of these fresh ideas, that comes naturally from living the brand every day, for both Heineken and W+K Amsterdam, and wanting to fuel its meaning with creativity. Legendary posters is a fresh idea. Its diversity, unconventionality and positivity are such a testament to how Heineken sees the world – by crossing your borders you enrich your life with amazing experiences. These posters went through quite a few experiences we would all like to live one day, but what fired us up the most, was to make these experiences support freedom of expression in partnership with Reporters Without Borders’. “Normally, we send relatively resourceful bearded men out into the world to gain some perspective and take part in a legendary journey. This time we decided to see what would happen if we sent a few pieces of paper instead. And in the process raise money for an organisation that is equally interested in finding out what’s going on out there in the world”, said Mark Bernath, Wieden+Kennedy Amsterdam’s executive creative director.